I remember the first time I saw this dress, I thought it was some sort of weird leopard print for a second. The floral lace is so interesting and unique! The majority of floral lace out there are all similar, either wallpaper like or outline like. This particular dress, however, has floral lace resembling daisy in a slight cartoonish way but still ultra feminine. I actually own this exact dress in a different print, I love the cut and I couldn't resist this lovely lace. 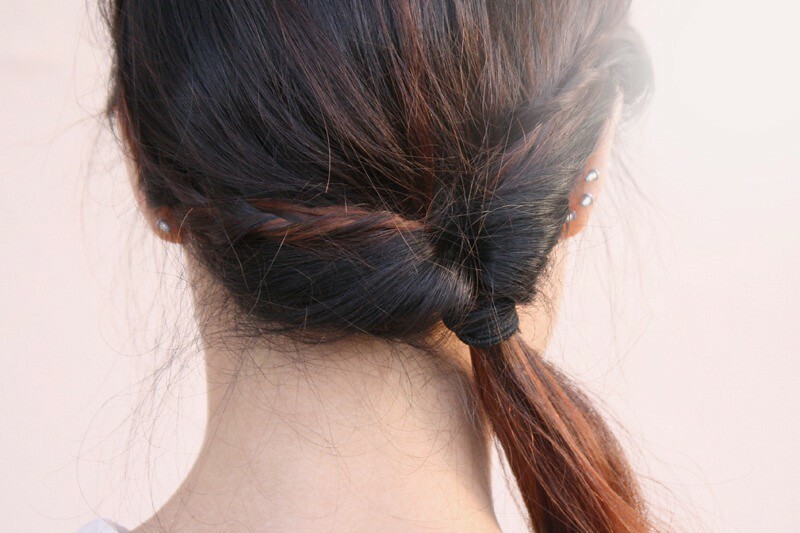 I wore it with a double collar chiffon blouse underneath and braid-twisted my hair for a more polished and put together look! Floral lace dress by Mystic from my work Sway. Double collar chiffon blouse by MBD from my work Sway. 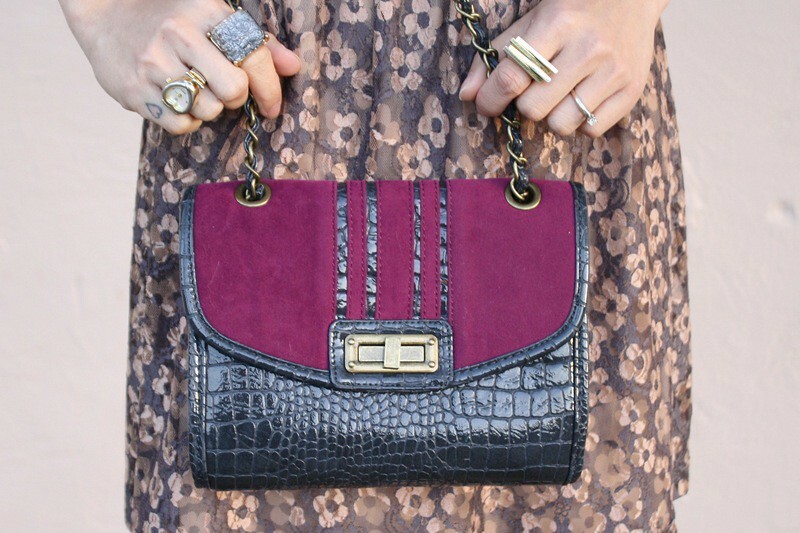 Two tone suede and crocodile handbag from F21. 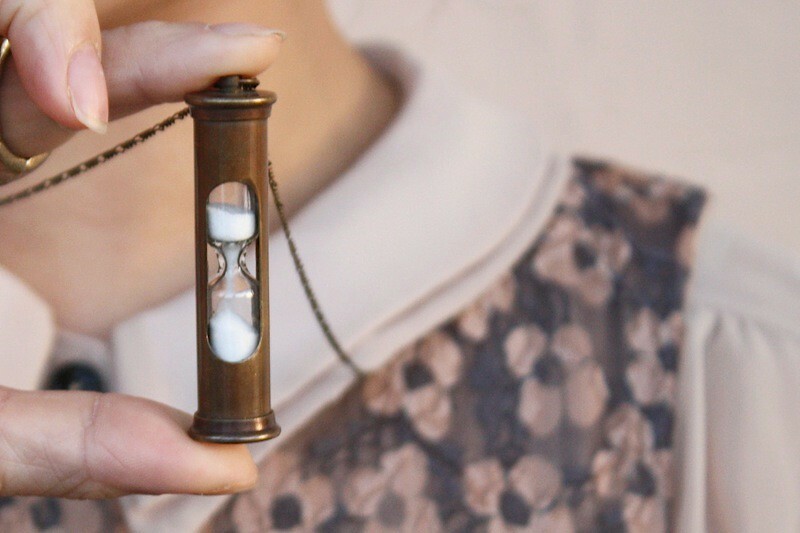 Hourglass necklace from my work Sway. 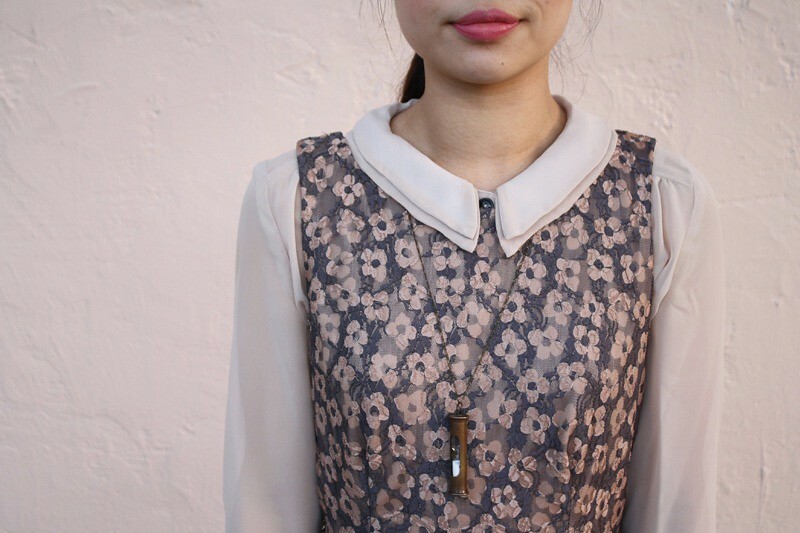 perfect collar and yay im wearing those flats today! Love the pattern on that dress! I have that same necklace! Love it! Another lovely outfit - really like the blouse under the dress (something I often do simply because it's rarely warm enough to wear a sleeveless dress by itself!) Such an unusual and pretty lace pattern too. Your hair is absolutely stunning :) Great look!